We at Success Planner specifically provide Bank, SSC, Railway, UPSC, BPSC, NDA & other competitive examination classes and believe in preparing candidates by amalgamating the traditional techniques of teaching with the digital world. Today SSC is One of The Most Sought-After Exams by Students After Graduation. In Current Trends the Cut-Off of SSC has Changed Completely and It is Possible Just Because Students Are Well Aware And They Search Best Classes of SSC and Learn Online Basic Concept so The Level of Competition Has Increased a Lot. Success Planner is The Best Coaching Center in Bihar. Our Students Not Only Clear the But Also Bring The High Rank Which Enables Them Their Dream Career. To Get Our Students Their Dream Job We Do Our Level Best So That Any Student Can Easily Avail His / Her Target. Success Planner Bank PO Institute Gets You Prepared for Various Bank Exams. Banking Sector Has Lots of Opportunity Basically Bank PO Salary is High. We Cover Full Bank PO Syllabus Which Gets Your Bank Clerk Syllabus Completed as Well. Probationary Officer (P.O.) & Clerk. State Level and All Competitive Exams. Success Planner Provides Best NDA Coacing in Patna. The National Defense Academy is Considered as One of The Most Reputed Academy in The World. NDA is Joint Academy for Three Main Services Which is Air Force, Army and Navy. 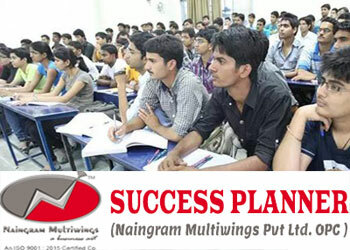 If You Are Looking For Best Coaching In Patna Then Join Best Coaching Of India Success Planner. To Join The Best Coaching of NDA Come to Our Office and Join Us For a Better Future. Success Planner is Best Railway Coaching in Patna Bihar. Here you can prepare for Railway Exam with Success Planner. We are focused on clarity of every concept to our every individual student and provide online mock test facility based on the latest exam pattern and cover the whole syllabus in fix time. We Provide Quality study material prepared by a subject expert. Success Planner is One of the Best IAS Coaching in India. In our classes we provide many practical classes and We cover complete NCERT Classes . we are known as Best Coaching Classes in Patna and we cover complete end to end syllabus. To Know More About Our Classes Please Contact Us. Do visit our venue at Dulare Market, 2nd Floor, Raja Bazar, Pillar No. 51, Bailey Road, Patna.